History is bunk, some people say. And maybe they're right. But not everyone agrees with that notion. There are people out there who think remembering and recognizing the past is important to the present...and future. Art Larrance is one of those folks. 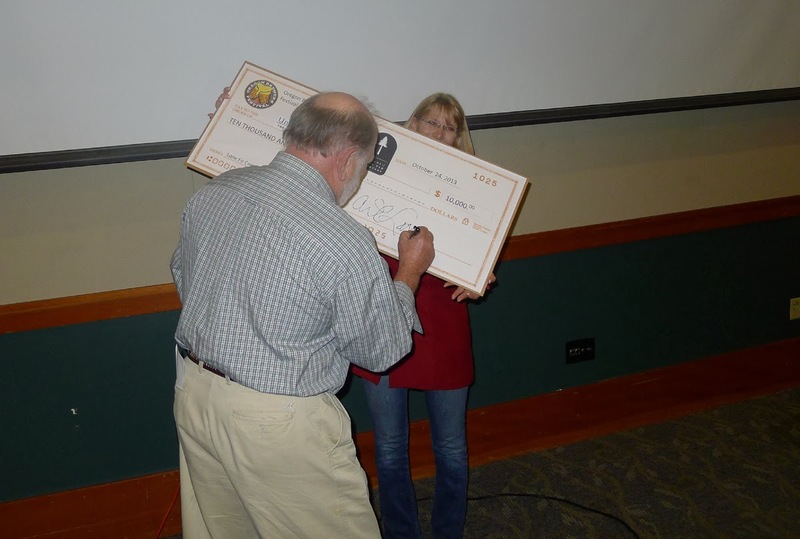 Last night at the Oregon Zoo, Art donated $10,000 to the Friends of Lone Fir Cemetery. More on Lone Fir in a second. 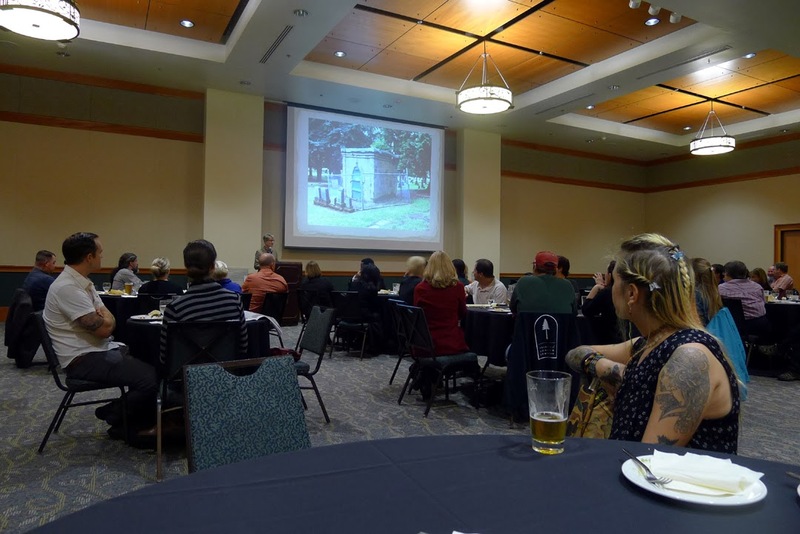 The purpose of the donation is to support restoration of the tomb of George Frederick Bottler, one of the Oregon's founding frontier brewers. Bottler's tomb, one of the first structures at Lone Fir, is currently crumbling and in desperate need of repair. "I hope my donation will promote interest among brewers and others for the Lone Fir project," Larrance said. "We all want to be remembered when we're gone and I think it's important that we pay tribute to people like Bottler who came before us. Preserving and respecting our brewing heritage is important." I probably don't need to remind people who follow this blog who Art Larrance is. But I will. He is one of the founders of the craft beer movement in Portland, having co-founded Portland Brewing with high school buddies Fred Bowman and Jim Goodwin. Later, he moved on to found Cascade Brewing, which operates today as the Raccoon Lodge and Cascade Barrel House. Of course, Art is also head of the Oregon Brewers Festival, an event that has probably meant more to Portland and Oregon beer culture than any other. As McMenamin's historian Tim Hills documented Thursday evening, there were two Bottler brothers present in Oregon during the early days. It's tough keeping them straight because they shared the same first name: George. George Michael Bottler founded Portland's second brewery, the City Brewery, in 1857. George Frederick Bottler founded The Dalles Brewery in 1859. When George F. Bottler passed away in 1865, his bother George M. Bottler was in Germany. Travel time in those days wasn't quite what it is today. So Bottler's friends Edward Schrader, Henry Weinhard and Henry Saxer arranged for him to be buried in Lone Fir. Upon his return, George M. Bottler arranged to have a tomb erected over the site of his brother's grave. It is that tomb that is decaying today...surrounded by a fence it is in such a state of disrepair. The estimated cost of restoring the Bottler monument is roughly $80,000 and there is a plan in place. It's funds that are needed and that's where the Friends of Lone Fir come in. They are dedicated to preservation, education and restoration of this historic space, which is listed on the National Register of Historic Places. Many of Oregon's pioneers are buried at Lone Fir. There's more information on the Lone Fir restoration project here.